Pray for Tim and Tanya, as he returns to Kyrgyzstan to start his third year of ministry. Pray for their involvement in both the Capermaum Project for special needs youth and their Young Life club ministries. Pray they can train and equip leaders to reach kids with the gospel and care for kids with a variety of disabilities. Pray for their cross-cultural marriage to be strengthened and that they would continue to grow in their ability to speak and understand English (Tanya) and Russian (Tim). For more info on Tim & Tanya, see page 19 of the prayer guide. Pray for the various Sundanese teams in Indonesia as they seek to share the gospel, baptize new believers, build up house churches, and offer marriage and family retreats for Muslim Background Believers. The Paul Team and the Judah Team each showed significant growth in meeting their goals for evangelism, new believers, and new house churches. Pray for their efforts to reach their neighbors with the gospel. Prayer recruitment continues to be the focus for Jeff and Lynne as they seek to evangelize their neighbors. They are seeking individuals and groups who will pray weekly, organize prayer meetings, adopt one of 52 zones in their country, or fast for the people where they live. In family matters they have discovered that their children need some one-on-one help to overcome some of their education issues, pray as Jeff and Lynn seek to better understand and deal with their children’s needs. David and Lisa are grateful for the invitations to visit the homes of their Tibetan friends. Pray as they search for persons of peace and opportunities to see God perform signs and wonders among this special group of people. Pray for the health conditions of Bella, the foster child in their care, and for the next steps in schooling with her limitations. Pray for Lisa as she continues to teach childbirth classes, Bella, and the Bible. For more info on David & Lisa, see page 57 of the prayer guide. Roger and Abi Lowther were invited into the schools their sons attend to teach English through songs and games. God continues to build trust in their neighborhood. They are also working on publishing a songbook with original and newly translated worship music and ask prayer for this to be a much-used resource for churches throughout Japan. Pray as God continues to open doors for the Gospel through art and music. For more info on Roger & Abi, see page 53 of the prayer guide. 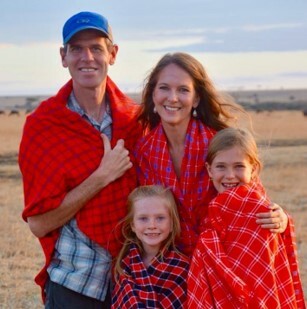 Steve and Marion Spencer are grateful they could attend son Samuel’s graduation from Rift Valley Academy, a boarding school that serves 500 missionary kids from all over Africa. Then they welcomed son Jon Jon and his family to African Bible College. Pray for safety and protection, especially for the kids and the 140 incoming freshmen at ABC. 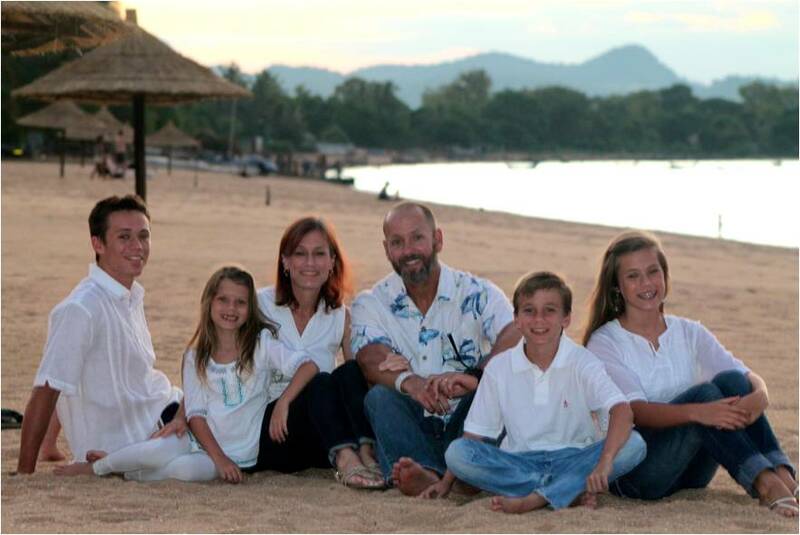 Pray that God will lead and guide the Spencer family and the staff by His holy and perfect Spirit. For more info on Steve & Marion, see page 72 of the prayer guide. Pray for Tezar and Tatiana as Covenant City Church continues to grow in its second year and for the relocation to a bigger space this month. Pray for new members, new community groups, and healthy leaders to mentor and disciple the growing church. Pray for leaders and elders in training to grow and mature as they serve with Tezar. Praise the Lord for three new believers who are attending the church and learning about their new faith. For more info on Tezar & Tatiana, see page 36 of the prayer guide. World Relief Cambodia requests prayer that their cell church members will not leave for work in neighboring countries, and that cell church leaders and volunteers will reach five non-believers next month. Pray for a strong relationship between cell churches and local churches, and for WRC staff working in the community to build good relationships with new people taking on new roles as commune chiefs, deputy commune chiefs, and village chiefs. Pray for the Savings Groups to prosper and sustain individual households. Now that Heath and Angela are back at Tenwek Hospital, pray Heath can utilize the skills he learned in the US for training residents in surgery, and for the new equipment to better serve the people of the area. Pray for the girls to adjust to their new school and for the family to see fruit from their gift of service. Pray for stability for Kenya, and for those trained at Tenwek to have a heart of service for the Lord and their fellow countrymen. For more info on Heath & Angela, see page 69 of the prayer guide. Jackie considers it a privilege to lead an Indonesian language Bible study. She is also grateful to see members of the church keeping each other accountable and encouraging one another to grow in worship and love. Pray she can arrange her schedule to spend time with Yanti, from her English club, and for opportunities for spiritual conversations. Pray for Amanda, Francis, and Elizabeth to deepen their love of God and each other. Pray for Jackie to be led to the people God has prepared to hear the truth of salvation. For more info on Jackie, see page 26 of the prayer guide.